HALBAN Under the auspices of H.E. Dr. Abdullah Mohammed Al Sarmi, Undersecretary of the Ministry of Higher Education, The Oman Association for Quality in Higher Education conducted a launch event on the international accreditation of higher education institutions at the German University of Technology in Oman (GUtech). More than 100 experts in the field of accreditation and quality assurance participated in the unique one day workshop. In recent years, many institutions in the GCC have established a quality center or a quality assurance department. In Oman the Oman Accreditation Authority was founded in 2010. 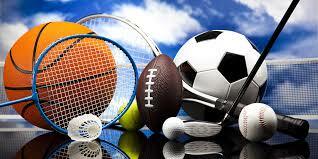 Initially it was named Oman Accreditation Council, founded in 2001. “The international or national accreditation has been creating awareness on quality in higher education. One of the challenges is to balance the tension between accountability and independence of the institution,” said Dr. Narimane Hadj Hamou, Founder and CEO of the Centre for Learning Innovations and Customised Knowledge Solutions (CLICKS) based in the UAE. Dr Narimane gave a talk on Accreditation in the GCC Region: Developments, Challenges and Future Opportunities”. She stressed that it is important to consider the creation of a GCC ‘think tank’ that will work on a common GCC framework to establish joint standards promoting for example student mobility in all GCC countries. “The accreditation is a commitment to quality. It is not a specific task but a continuous quality improvement. The accreditation is important to attract the best students and to find the best faculty members.” Said Dr. Ali Al Badi, Associate Dean for Postgraduate Studies and Research at Sultan Qaboos University (SQU). In addition, the accreditation encourages and supports ethical behaviour by students, faculty, administrators and professional staff. It enhances a positive work environment. “It promotes a collegiate environment while trying to respond to current and emerging corporate social responsibility issues,” said Dr. Hatem El Masri, Director of Quality Assurance and Accreditation Office at the College of Business, University of Bahrain. Such social responsibility issues include diversity, sustainability development, environmental sustainability and globalization at large. The accreditation also includes aspects regarding intellectual contributions from academics as well as student, academic and professional engagements for example through guest lectures. The AACSB (Association to Advance Collegiate Schools of Business) is mission-driven, it is based on principles rather than on rules. According to Dr. Hatem the AACSB accreditation is the largest and most widely recognised business accreditation in the world, more than 780 accredited schools worldwide. The Accreditation Board for Engineering and Technology (ABET) supports technical education worldwide. “This accreditation is a proof that a programme has met essential standards that are valid worldwide to produce graduates that are ready to enter the critical fields of applied sciences, computing, engineering and engineering technology” said Dr. Nabil El Kadhi, Vice Chancellor of the University of Buraimi. During the closing session the board members of OAQHE said that further joint meetings and events are planned in the near future. At GUtech all BEng and BSc study-programmes are accredited by the Oman Accreditation Council and by ACQUIN, an international accreditation agency based in Germany. Caption: Group photo with HE. 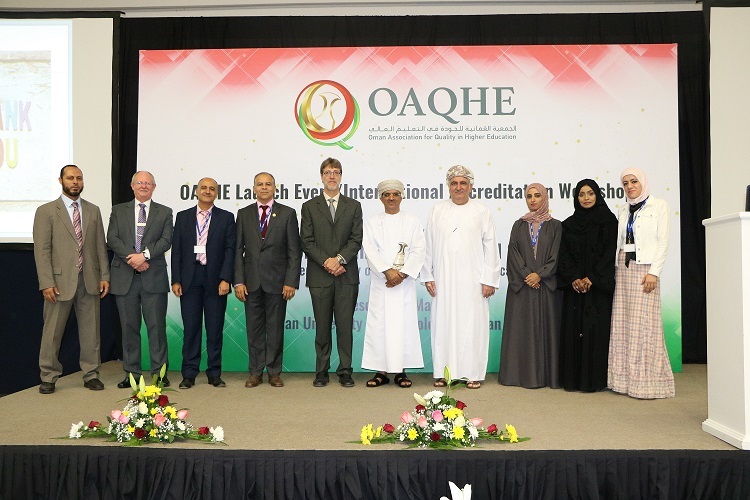 Dr. Abdullah Mohammed Al Sarmi, Undersecretary of the Ministry of Higher Education (center) and Prof Dr. Armin Eberlein, Vice Rector for Academic Affairs at GUtech (center) along with the board members of The Oman Association for Quality in Higher Education.